If you didn't already know, 2017 will mark Canada's 150th birthday. I think every quilter on the planet will know soon enough, because the deluge of red & white and maple leaf-themed quilts has already started! ...and do something improv-y with them. I already have a fun idea. Or, maybe I should say that was my plan. Thanks to that horrible temptress Quilter Kathy, today I finally laid eyes on the full layout for the 150 Canadian Women quilt along, which I'd been avoiding, and which you can see here. The decision process was very fast! Yes, two months ago I said that I was done with BOMs and quilt alongs, but you know, I hope I can also recognize a good thing when I see it. This quilt will be a classic. ...and so was that scruffy pink piece, so I grabbed that too. I knew the cream fabric was perfect right away. Why? Yes, there's still one day left in the Kaleidoscope of Butterflies link up, and I have a butterfly-shaped hole in my line up right now, because I really haven't been able to hand stitch since my back went out in October. So this should keep me going for a while. Please check out the much better butterfly and kaleidoscope photos that everyone else in the link up has posted! I have enough of this fabric to do all the block backgrounds as well as the sashing, but before I even climbed up all the stairs I knew that using just one background would be too flat for me. I love the depth I managed to get in my first quilt, the nine patch, by using a wide range of backgrounds, some lighter and some darker than the setting fabric. That will be the plan again, and a really wide range of "reds" to go with them. This really was a very enjoyable day. My goal was to make three blocks, and I made seven. With all those scraps in front of you, it's fun to see what looks good together, and how much you can squeeze out of that last tiny piece. It looks a little grey in the photos, but there is quite a yellow tinge to the background fabric, so I will probably stay on the warm side with my reds. I'm hoping to bring in a little of everything -- modern, traditional, 30s reproductions, batiks...maybe Christmas too. Why not? 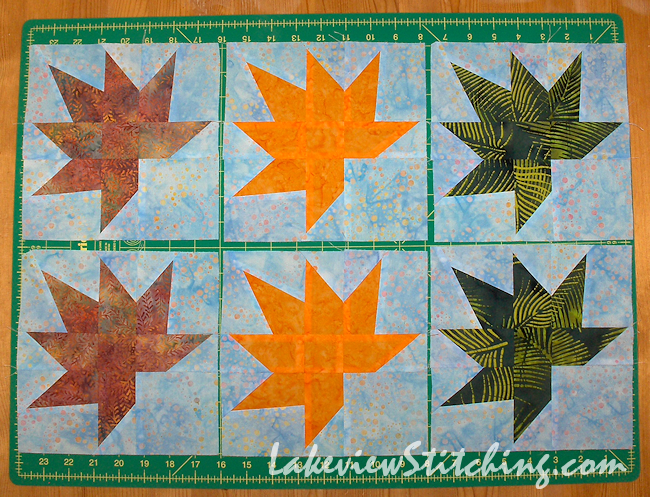 With luck the blocks will reflect whatever else I am sewing at the time. 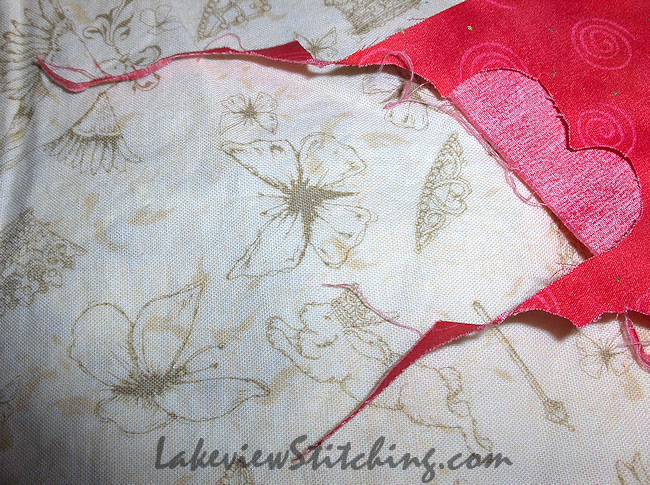 And I'm going to make an effort to use real scraps from the bin, not yardage. 150 blocks, 3 blocks per week. The patterns are free for two weeks, and you will find them here. The designer, Kathryn Wilson Tucker, has named each block for a pioneering Canadian woman, and includes a brief history with each pattern. They make interesting reading! I sincerely hope she will be able to get a book deal for the quilt sometime this year. It would be great to keep the book along with the quilt. When it's done! The best-laid plans, eh? This looks like it will be a spectacular quilt! And how could you not, really? I like the plan and the blocks you've already made look great! What a great idea. No wonder you were, as we used to say, sucked in badly! It interesting that the organiser chose "Canadian born" as the criterion. I suspect we would be more inclined to filter by identification - always keen to lay claim to those who chose Australia (especially those who chose it over England!). You've made an inspired start - I just love the something-from-what-I have-spare concept - so appropriate to the topic. I shall follow this with great interest. I'm also laughing to myself - yesterday I also embarked on an entirely new and left-field project - must be a meteor out there somewhere! It's interesting how two seemingly similar countries like Australia and Canada can be so fundamentally different in some ways! 99.9% of Canadians either chose themselves or are descended from those who chose to come here. Making the journey and adapting to the new environment are difficult accomplishments that most Canadians are proud of, whether it was 150 years ago or last week. So that is just a given. With the difficult climate, and the isolation, the real Canadian value is cooperation and helping others. Really, it is just common sense when it is quite likely that you could be snowed in and needing help next time. So I have a feeling that courage and making life better for others will be the themes this year. I am glad to be joining in! Your red and white blocks are looking good. Canada's 150 birthday coming up, with a commemorative quilt to go with it, lots of fun there. Thanks for letting us know about Canada's special commemorative quilt. 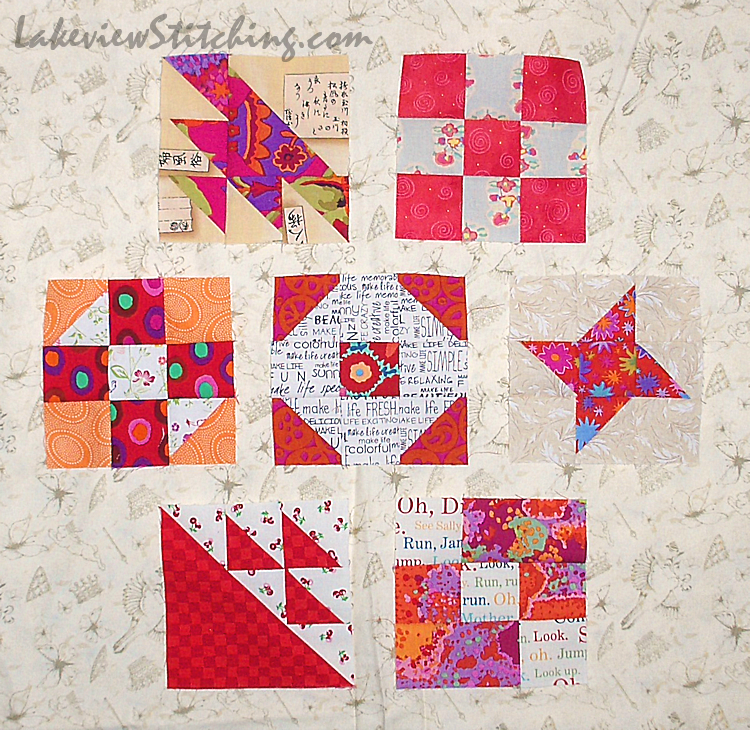 I like your ideas of including lots of different styles of fabrics it's a great way to personalize the 150 blocks. You're going to have fun! It looks like the stars and the moon aligned! Of course, this is a MUST project. What memories you will be making! 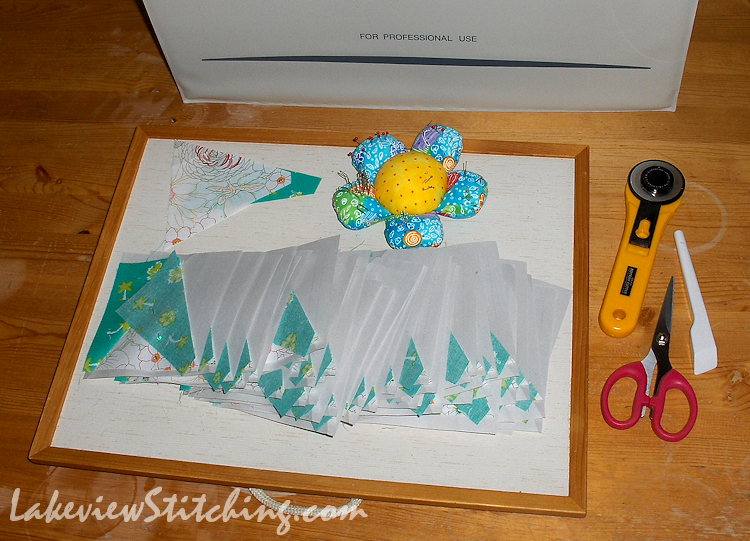 I like your thoughts about your background and use of your scraps. Using scraps will just add to your memories. Thanks, Terry! I do think a wide range of scraps will really pay off with this quilt. It will be interesting to see how it pans out! 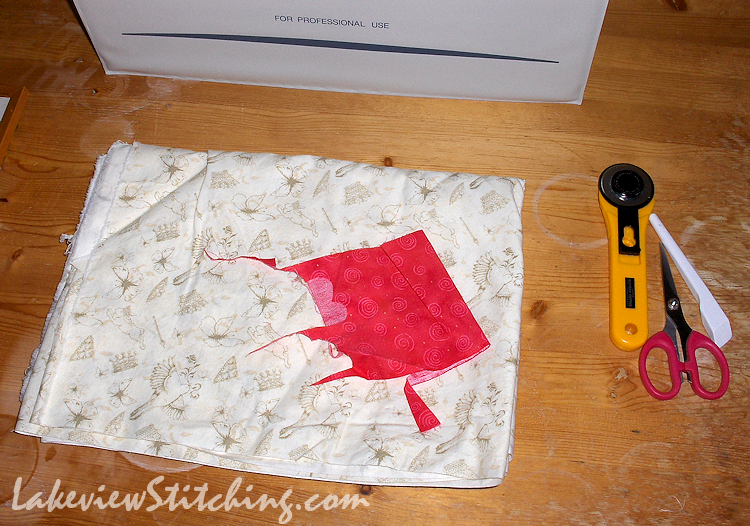 This is a scrumptious butterfly print that will enhance your Canadian quilt. I've already forgotten your vow to stop BOMs. This is too lovely and meaningful to pass up. I hope your back improves soon. Thanks for linking with K of B.
Ooh, this is going to be lovely! If you are going to renounce your vow, this seems like a good BOM to be led astray by. I'm not going to sew but will check each week and read the history. Ahh, thanks for the heads up about this quilt. I'd not heard and I am intrigued enough to sign up and download the blocks. You see I've been gathering red fabrics to maybe make a Dear Jane quilt, but really this one is even better for a Canadian woman to make and the blocks seem similar. You are fast and good! Your blocks look wonderful. I work at a snail's pace really with such slow stitching. Happy Stitching!